According a recent report from The Nikkei, a leading business journal in Japan, sales of 3D TVs aren’t huge yet, but prices are dropping, and sales are on the up tick there. Although only 2.6 percent of televisions sized 40-inches or larger that were sold between Aug 2nd and 8th were 3D models, the numbers are expected to grow when Toshiba and Mitsubishi release their respective models at the end of this month. While I have a deep respect for the country of Japan, and have been there multiple times, I also know what sells there is not any sort of indicator for how the rest of the world views any given technology. On my first trip in 2000 I went into several shops that sold nothing buy Laser Discs. Yes, you read that correctly … Laser Discs were still popular in 2000, when in the United States it barely even took off and was dead long before then. In 2001 I was still seeing MiniDiscs for sale in record stores. This is another technology that never really caught on anywhere else in the world, it had been long forgotten by the time I was seeing current release albums for sale in that format. While this report from The Nikkei sounds upbeat about the future of the format in Japan, CrunchGear pointed out earlier this week how the companies are quickly backing away from the technology, and even when a device does support it, they don’t even mention it. As an example, the Samsung BD-C8000 portable Blu-ray player supports 3D, but the sale sheet shown doesn’t even mention that fact, it just goes on and on about its Internet connectivity. Remember how after CES (Consumer Electronics Show) this year how we heard about nothing but 3D this, and 3D that? Isn’t it amazing how fast the companies are backing away from it? The commercials on TV seem to have died down, the constant chattering about it has lessened and in general no one seems to care anymore and it has only been eight months. There are two main theories as to what happened, and both make sense. The first being that no one wants to pay $150 per pair of glasses so you can have more than one person watching the television set at a time. The second theory is that there just isn’t enough content out there. With the move to HD it made everything look instantly better, even standard definition content looked crisper, so it made sense, but you aren’t going to see so many instant benefits from a 3D set. 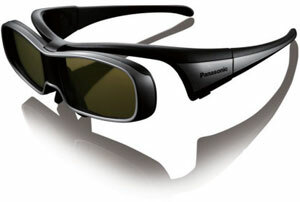 I would be greatly surprised if at CES 2011 we hear much about 3D, if anything at all. Again, just because the Japanese are buying it, don’t think that means diddle when it comes to the rest of the world. What say you? Do you think 3D has already failed?